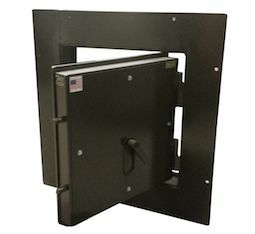 You will need a 29 1/2" x 29 1/2" RO, and that will give you a 24" x 24" ID, which is big enough for a 300 lb man to fit through. We have all seen in movies when a fight pilot has to eject as a last minute escape in battle. There may come a time in your life when you need a last minute escape. 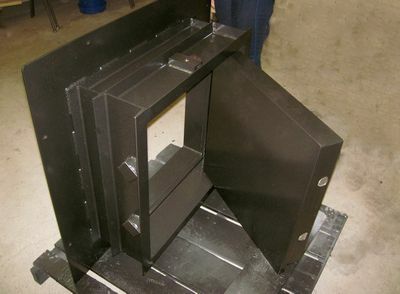 The Escape Hatch that we manufacture offers you extreme security in the worst case scenario escape from danger. There are many situations that an escape door would be useful. 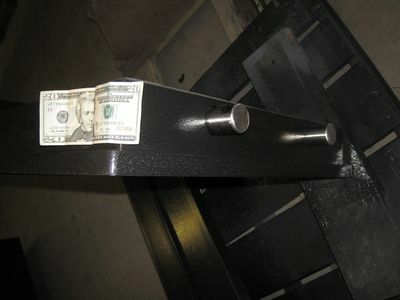 These situations require various levels of security from basic physical barrier that can't be kicked in to a barrier that will protect against most bullets, torches, saws, and other tools criminals use to take what is not theirs. 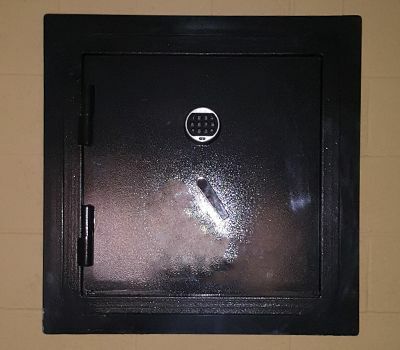 The Smith's Security Safes escape hatch offers all of these levels of security and is a great asset that will protect your loved ones and prized possessions. 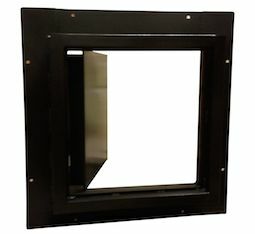 Our escape hatch comes standard offering a 24" X 24" entry hole that full grown adults can easily fit through in case of emergency. 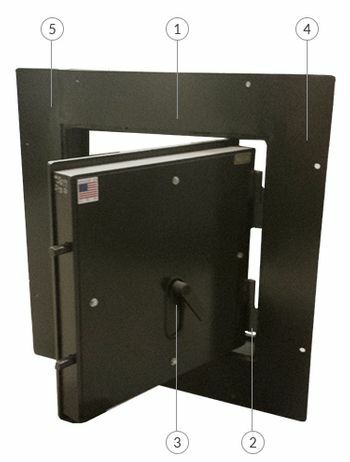 The escape hatch door comes standard with a very strong 6" channel iron frame. These doors come standard with an in-swing set up and an inside handle. This also has a full inside flange and comes painted textured black. 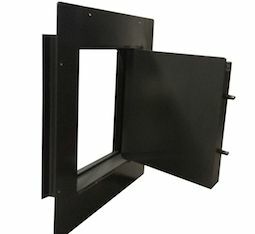 These doors do not come with a lock or outside handle, but this can easily be added. There are additional aesthetic options to spruce up the looks that we can discuss. There are many additional security options that will prevent savvy criminals with power tools or torches from getting through this door. I also offer customization whenever customers require it at an additional fee. Every customer has a unique situation with unique requirements. I am almost always by the phone so give me a call or send me an email and we can discuss what options will work best for you.